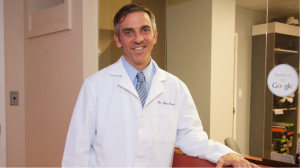 The patented FS6 compression foot sleeve is incredibly effective at relieving the pain of plantar fasciitis, chronic arch and heel pain and swelling in the foot. 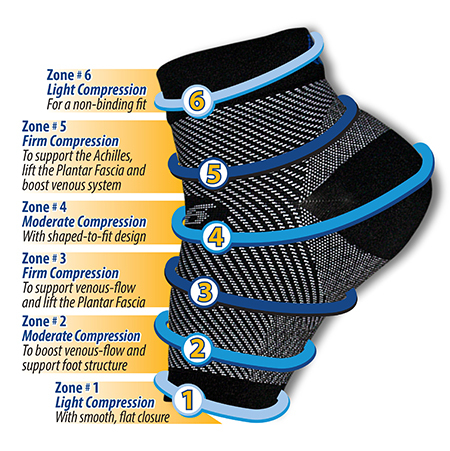 Compression 6 Zone Technology provides medical grade orthopedic support for the foot structure and the Achilles Tendon. It is an ultra-comfortable moisture-wicking foot sleeve you can wear under your normal socks. 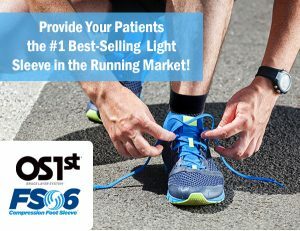 Wear FS6 overnight and experience morning pain relief.